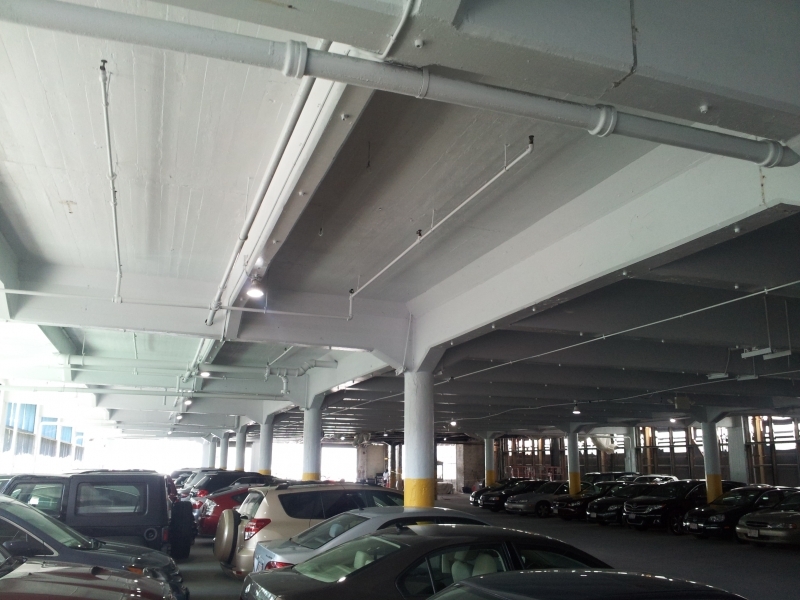 Industrial painting is basically defined as the application of coatings in an industrial setting such as warehouses, bridges, power plants, parking facilities, etc. 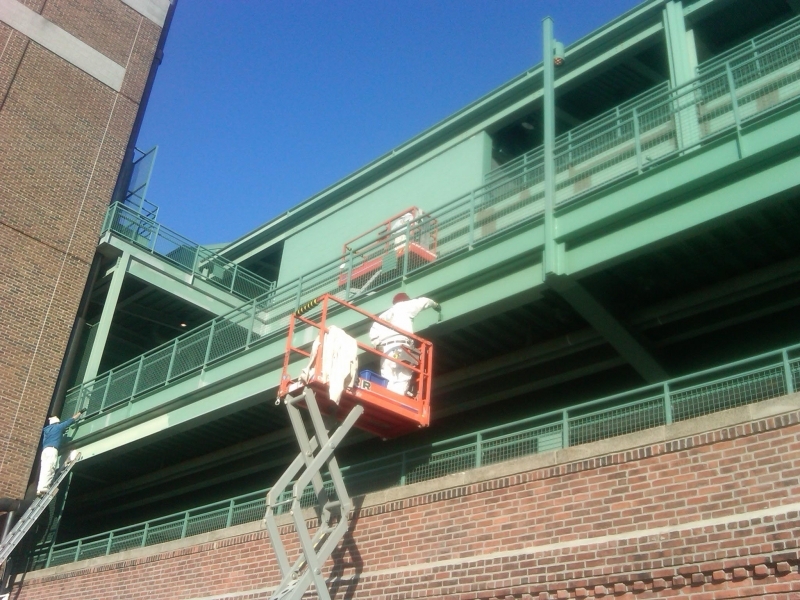 This type of painting requires the use of high performance coatings such as epoxies and urethane based paints. Recently, water-based acrylic coatings have become more popular and are commonly used. 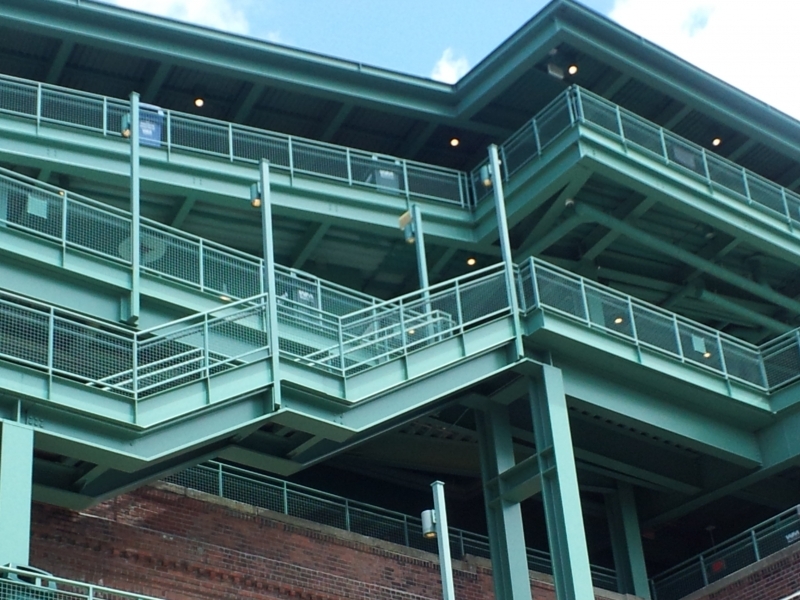 Most industrial painting involves application to steel which typically consists of structural beams, columns, handrails and even siding. Preparation is vital when applying high performance paints, the substrate needs to be clean, rust needs to be treated and the surface temperature needs to be in a certain range to allow proper curing. If and when applied correctly these coatings are extremely durable. 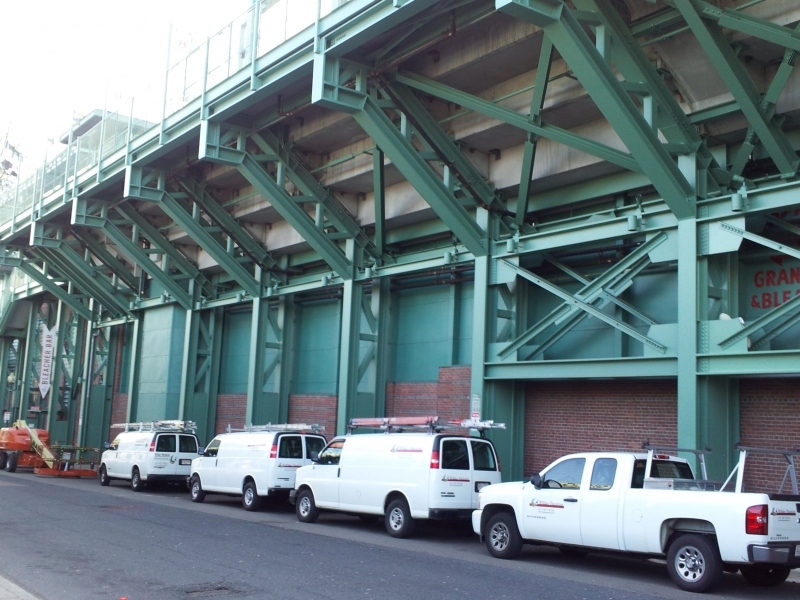 The types of industrial projects that we have completed are light industrial such as warehouse facilities, parking garages, mechanical rooms and recently Fenway Park. 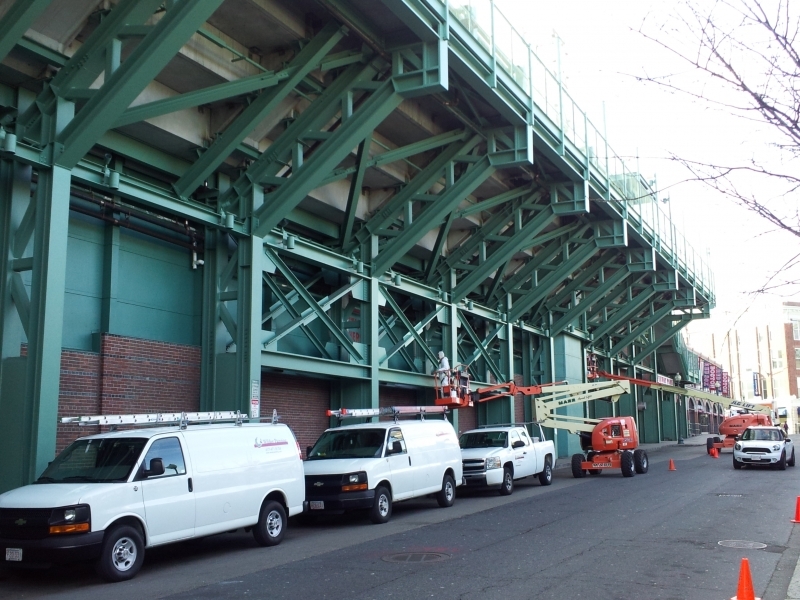 All of these projects required substantial preparation to steel and concrete substrates along with a multiple coat high performance paint system. 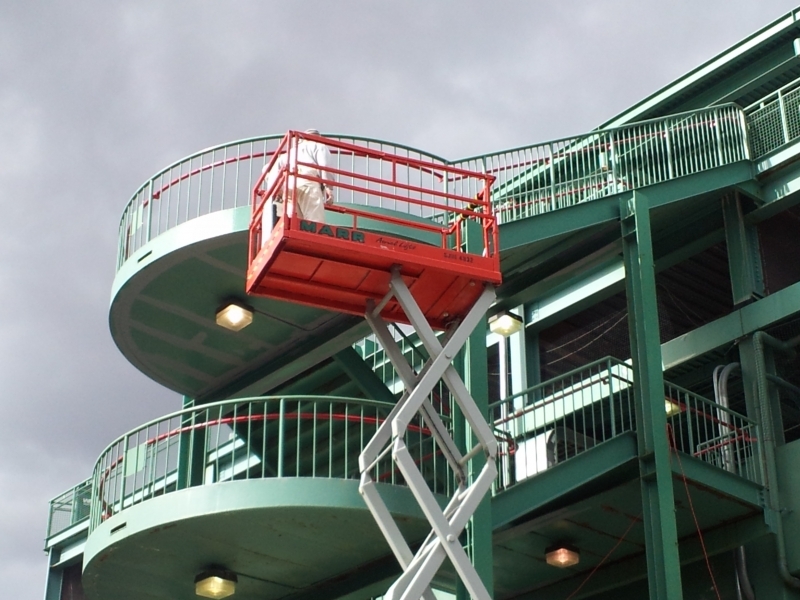 Our field team is experienced in using the high performance coatings as well as the aerial equipment and scaffolding involved in safely accessing the work areas. 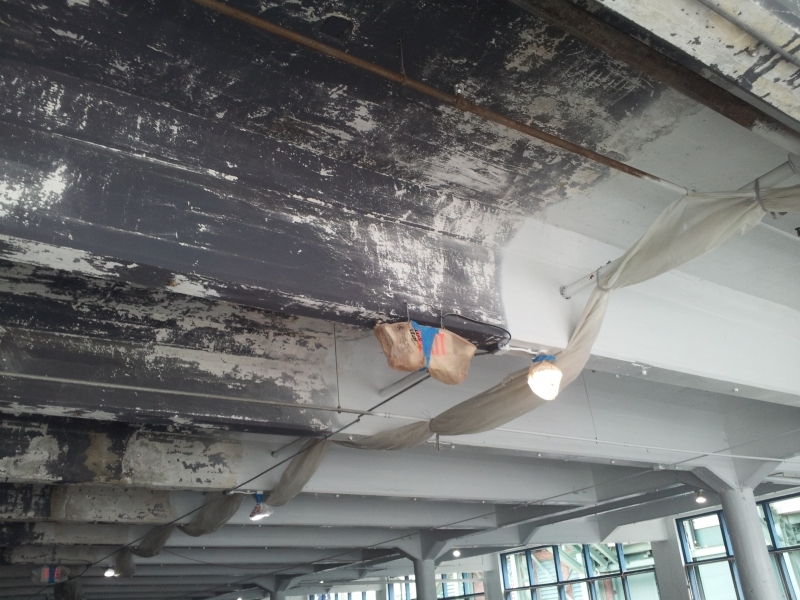 Industrial environments can be challenging, especially getting to certain heights and areas to complete the work. 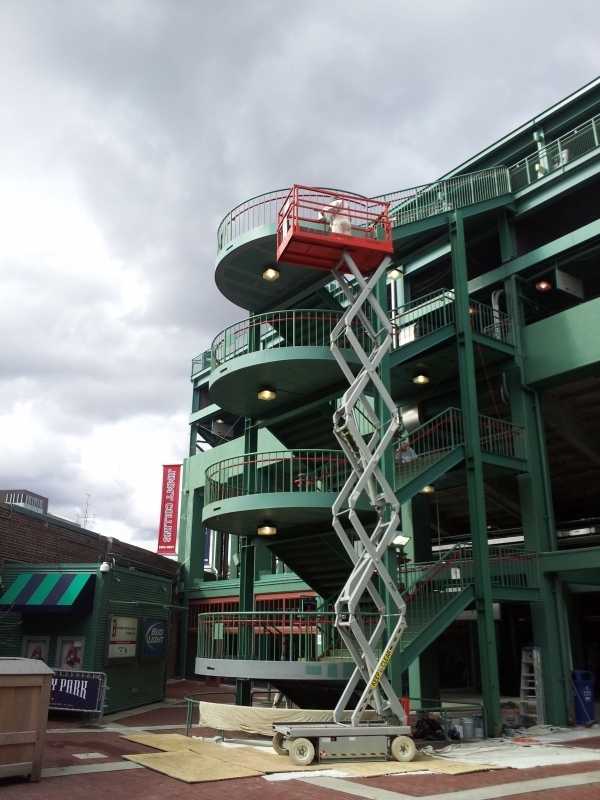 We have a strong team of aerial lift and scaffolding suppliers that assist us with providing the right equipment for each project. Safety is the top priority when working on an industrial site. The crew can be faced with working near operating machinery, at extreme heights or with harmful chemicals. Our project managers and field supervisors are 10hr OSHA certified for fall protection and jobsite safety.